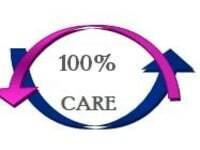 100% Care Services provides professional care to older people in the comfort of their own homes. We care with compassion and honesty. Two Free visits to help you decide. We provide quality domiciliary care support for Newham Council and private Service users at homes and residential homes We are appropriately tailored to our clients needs to enhance their quality of life and enable them to participate in their communities. We cover the entire Newham community, Barking and Dagenham, Tower Hamlet Area and Waltham Forest and other parts of London. We are committed to putting our clients before profit. Our mission is to help our service users to enjoy the highest possible levels of comfort and health, treating them with dignity, respect and helping them to maintain their independence. We believe that every single person has the right to a good quality of life: we simply want to provide quality care they need to continue to be their own person, giving them the choice and control to make decisions that affect their own lives. Our approach to care involves tailoring our levels of support to the needs of the individual. 100% Care can provide anything from a few hours helping around the home to a full 24-7 around the clock care – including weekends and bank holidays. From domestic help to personal care etc. We offer our Service Users support in various ways to make them more comfortable.